Good home locks are very important for the security of all residences but reliable residential locksmith is equally significant since proper installation, the choice of the right systems and systematic repairs and inspections would keep your home protected. When you trust the great experience and excellent methods of Residential Locksmith Services Toronto, you can rest assured of the immediate 24 hour intervention when problems arise, professional assistance and consultation. The professionals of our company are exhaustively trained in order to have perfect knowledge of all the latest lock systems and their effectiveness in order to provide good advice and help. You can count on the excellence of our technicians since FC Locksmith picks to work with the best ones in Ontario and they are trustworthy and competent professionals. 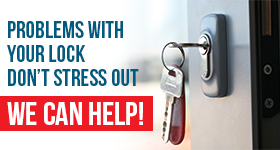 You can rely on our 24 hour residential locksmith and you can be sure that we can take care of emergencies. Burglaries, for example, will not only upset you but they will leave your home vulnerable. You can be sure that the crews of our business will replace the broken locks immediately. We are here when you are locked out due to lost house keys and we are available to assess the condition of all locks at home in order to inform you about your options and give you an estimate and our expert opinion. FC Locksmith is the best in residential lock repair all over Toronto and a thorough inspection would allow us to determine which parts of the house are vulnerable due to loose or slightly damaged locks. Today, there are extraordinary locks on the market and homeowners have the luxury of choosing among different styles and types. Our company will be next to you every step of the way with top quality services and honest consultation. From any lock installation to residential lock rekey, you can count on the speed and excellent work of our Residential Locksmith Services in Toronto.